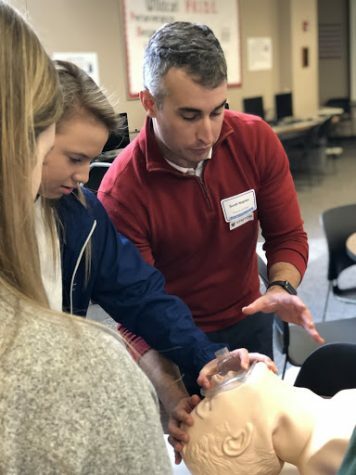 On March 19, in the iStudio, students from Human Body Systems and Principles of Biomedical Science classes came together for a medical field trip. Professionals in the medical field from around central Ohio attended. As the students practiced making incisions and extractions, specialists were there to help them out and give them some advice. Nurses explained to table groups what it is like in actual surgery for abscesses. The students practicing intubation were taught by Dr. Jeff Coffman. He showed the students tips and tricks on what works best when doing the procedure of intubation. 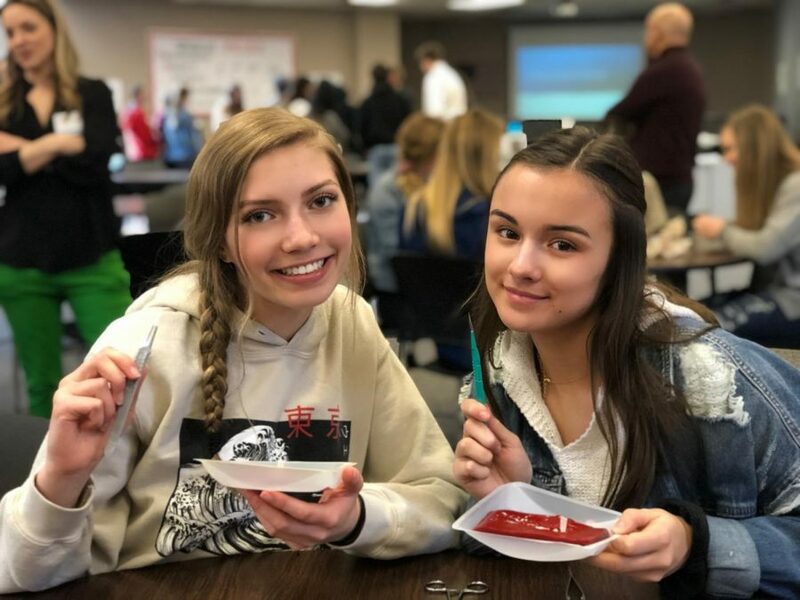 “It’s fun to learn about these things, because doctors and nurses do them everyday in the ER,” said sophomore, Sophia Shai. Janet Pritchard, science teacher, set up the field trip in hopes to further excite students about continuing in health pathway classes. The medical field trip gave students an educational experience that gave them a glimpse of what it might be like if they proceed in the medical field.